Eighteen months into running a business and the biggest learning curve for me has been how quickly you can end up taking for granted the progress you’re making. Anyone who knows me will already know I’m my own toughest critic and an impatient soul so I have had to force myself into the habit of taking a minute for a reflective high five. Thursday was one of those nights. 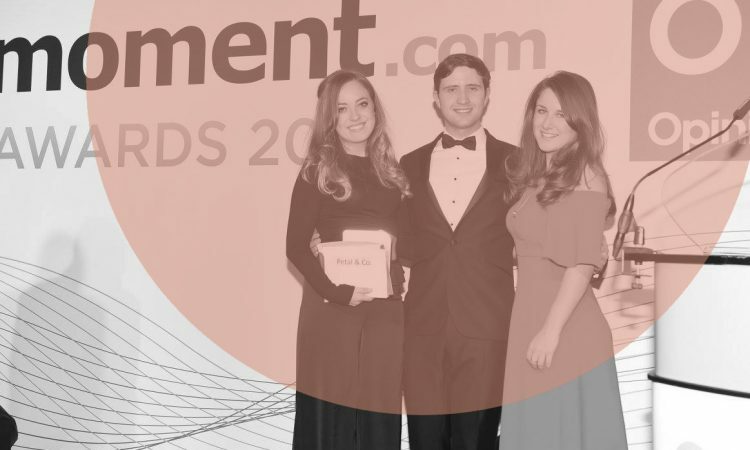 We won five categories at the PR Moment Awards, including best B2B agency. For those outside the PR bubble, these awards are entered by the great and good of the industry from across the north of England, Scotland and Northern Ireland. From the 800+ entries, we had ten shortlist places across seven categories which is unbelievable credit to the strength of our client base and the work we’re able to do for them. It also well and truly validates my main goal when going it alone which was to do consistently good work for interesting and likeminded companies. We also happened to take home more awards than any other agency in the room. When competing with 60-strong teams and global networks, this gives me the much welcome reminder that small can be mighty. Particular shout outs (though not going into Oscars speech mode) to: Sian Collister for being a brilliant first hire, passionate Petal and absolute grafter; clients who’ve backed us in such early days; our pals at Tunafish Media for the opportunity to collaborate on a campaign that picked up two awards for the University of Salford and John Greenwood for backing the idea that won Financial Services and Financial PR campaign – and for backing Petal to begin with. That did get a bit Oscars, actually, so thanks Mum, Dad and Grandma.